Mijn nieuwe set van Kuifje postzegels. En mijn oude set van Kuifje postzegels, uit 2011. I lived outside Brussels (Tervuren) for 5 years (1963 – 1969) as a child. 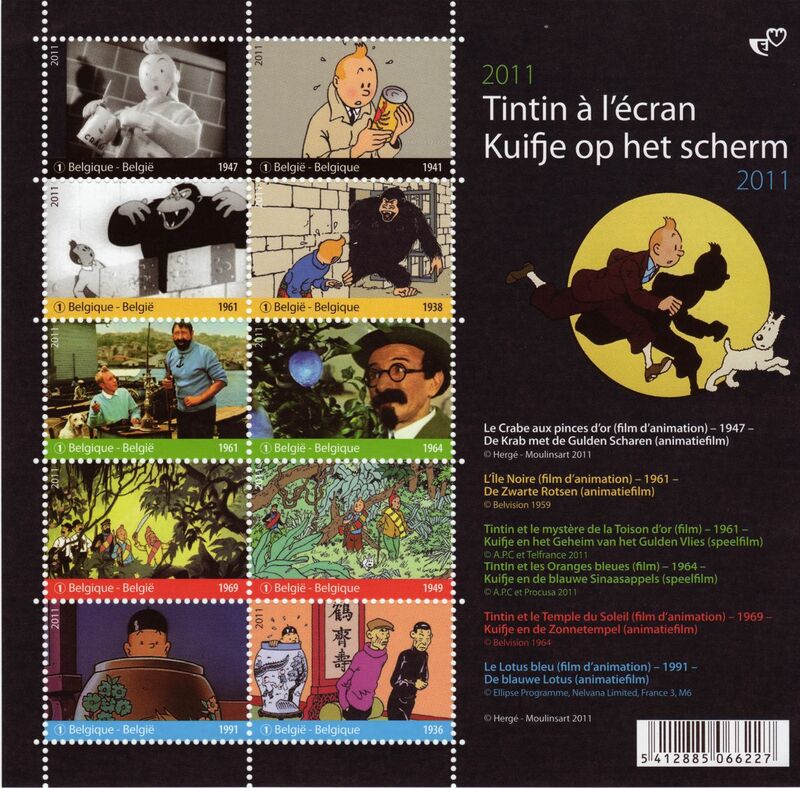 my mother got me all the Tintin adventures… great fun… billions of bilious blue blistering barnacles! 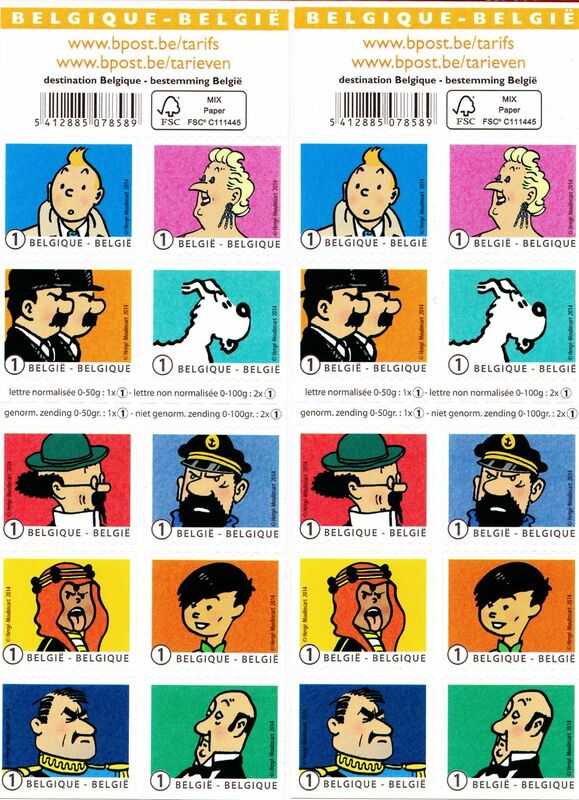 I’m envious of you and other people who grew up on Tintin – I knew the stories principally from the animated TV show (which was broadcast on British TV in the 1960s) and only started reading the original BDs a few years ago. All my French friends knew them inside-out (and pointed out that Mel Gibson’s Apocalypto lifted a major plot point from Prisoners of the Sun). The thing that struck me when I was reading them, apart from the fact that they are rollicking yarns, was how breathtakingly beautiful the artwork is.